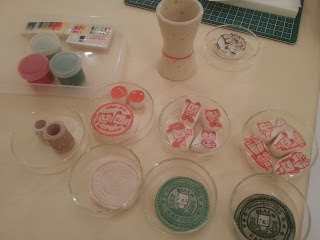 on the clay to make a creamic-stamp. 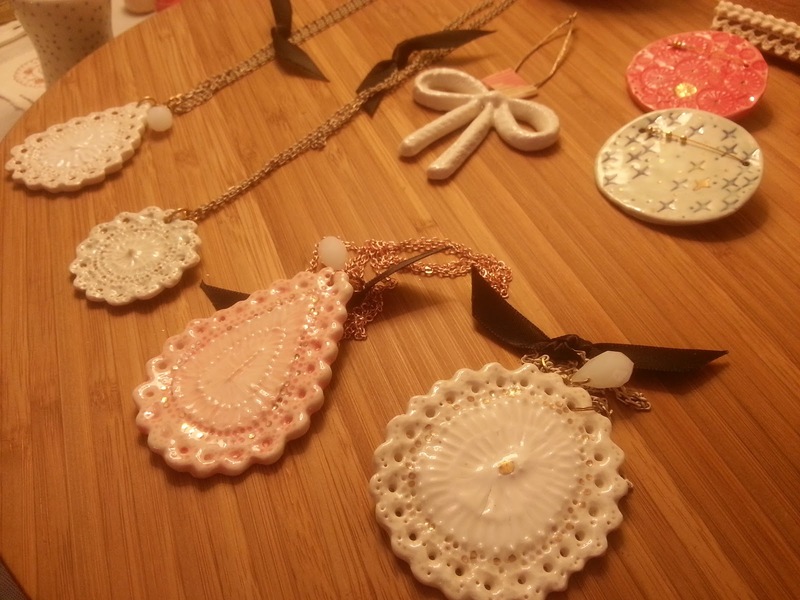 The lace pattern you can see from here, is using the ceramic-stamp to create the jewelries. She creates an artwork with the combination of ceramic and her handcarved stamps.